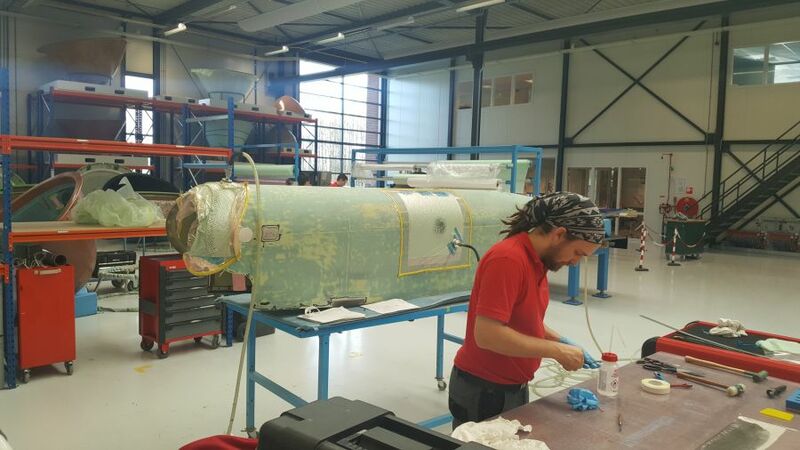 This fairing arrived at SPECTO just recently with a request to recertify after disassembly and dismantling from a retired Airbus aircraft. In-house damage assessment revealed several findings including delamination of the skin at multiple locations, damaged seals, missing fasteners and cracks in the paint. SPECTO’s repair proposal, outlined in a detailed Damage Assessment Report, shows the fairing requires a complete paint strip, structural hotbond repair on four areas, replacement of missing fasteners and worn seals and in addition will receive re-application of multi-layer paint scheme. Based on SPECTO’s detailed Damage Assessment report the customer understands what needs to be done to return this unit in a SV condition. Make sure to follow SPECTO to stay up to date on current and future projects!